China has launched new stimulus measures to boost the country's flagging economy. The People's Bank of China cut its key lending and deposit rates by 0.25% on Tuesday. The one-year lending rate is now 4.6% and the deposit rate is 1.75%. This is the fifth time in just nine months that China cut rates to tackle the deepening concerns about its economy. The central bank also said it would require large banks to keep less cash in reserve, a move that should boost activity by making it easier and cheaper for the banks to lend money. The change is effective from Sept. 6. 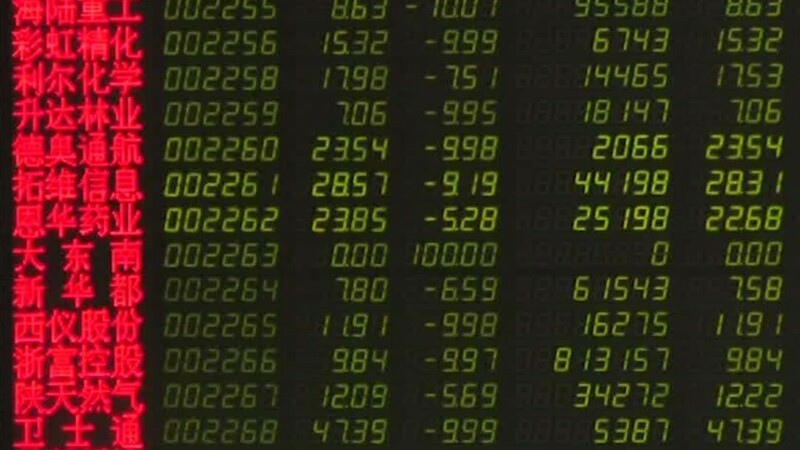 The moves follow a dramatic crash in Chinese stock markets, which panicked investors around the world on Monday. Worries about the pace of growth in the world's second biggest economy were fueling the selloff. The central bank acknowledged the weakness in the Chinese economy - and the need for intervention. "At this time, China's economy is still facing downward pressures ... global financial markets have also seen great volatility recently," the central bank said on its website. "As such, there is a need to use monetary policy tools ... to help support a stable and healthy development of the economy." China has already taken several steps to control the crisis. The government gave money to brokerages to buy stocks -- and ordered company executives not to sell their shares. New company listings were suspended. Economists were expecting Beijing to act, especially after a key gauge of China's manufacturing activity tumbled to its lowest level in 77 months last week. The massive selloff on Monday has been partly blamed on China's inaction over the weekend. "Simultaneous interest rate and required reserve ratio moves are unusual -- a sign that policymakers want to deliver a strong message," analysts from Capital Economics said in a note. The move helped to push European markets and U.S. futures up Tuesday, but some experts say it might not be enough to deal with the real issues. "The cut of interest rates ... may calm the stock market turmoil, but does not address the underlying causes," said Kamel Mellahi, Warwick Business School professor. The benchmark Shanghai Composite index extended its losses on Tuesday, falling 7.6%. That follows a massive tumble on Monday of 8.5%, the worst one-day drop since February 2007.